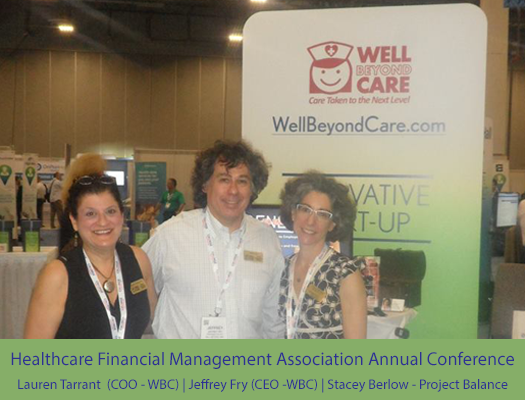 Project Balance joined Well Beyond Care, an Austin-based startup, at the Health Financial Management Association’s (HFMA) annual conference in Las Vega, June 25th and 26th, 2018. Well Beyond Care was one of 12 companies to will booth space in the HFMA’s Innovation Hub on their expo floor. Together we demonstrated the software and looked for company partnerships. Project Balance built the Well Beyond Care eCommerce application which launched in August 2017. Well Beyond Care is an online market place for Careseekers to match, hire, schedule and pay Caregivers. The company is growing steadily, with over 630 Careseeker accounts and 5300 Caregiver accounts, covering 49 states and territories in the US. Project Balance supports their ongoing site development and day-to-day site monitoring and optimization. For more information about Well Beyond Care please their website.